Politicians and their agents should carry the can for the malpractices and violence that characterised the 2019 general elections. This was the submission of the Independent National Electoral Commission (INEC) Chairman Mahmood Yakubu; Acting Inspector-General of Police Mohammed Adamu and Nigeria Labour Congress (NLC) President Ayuba Wabba as well as other stakeholders. They spoke on Wednesday in Abuja at the Forum of Anti-corruption Situation Room organised by the Human and Environmental Development Agenda (HEDA). In a keynote address, Prof Yakubu said vote buying and selling have become a source of great worry to the Commission, the people and the international community. The INEC chair, who was represented by the National Commissioner and Chairman, Information and Voter Education, Festus Okoye, narrated how politicians and their agents devised various methods to compromise the electoral process. According to him, one of the methods employed by the politicians and their agents was to buy up Permanent Voter Cards (PVCs) from voters in the political “safe haven” of their opponents ahead of an election. He also accused them of compromising security agents and some ad hoc staff of INEC who looked the other way while votes were being bought and sold. Yakubu said that some money bags bought over agents of other political parties who betrayed their own political parties for money. The INEC chair cited also situations where voters were made to surrender their PVCs to middlemen as a precondition for assessing government amenities and facilities. He said: “Politicians compromised traditional and religious leaders and community leaders by persuading them to persuade voters in their domain to vote in a particular way. “In some instances, they persuaded willing ad hoc staff to abandon the use of Smart Card Readers and provision of social amenities close to Election Day”. 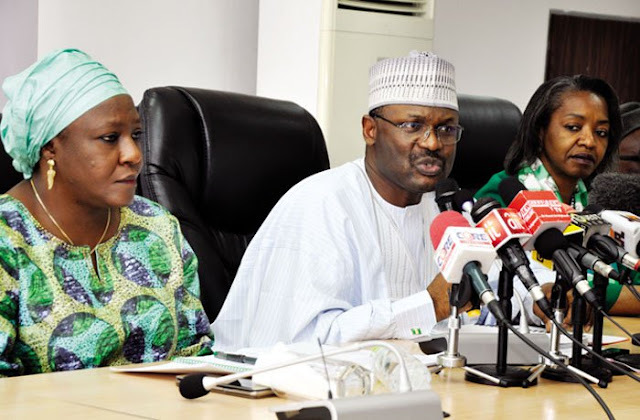 The INEC chief charged the various Election Petitions Tribunals to prosecute proven cases of electoral offences pending the establishment of a designated body for that purpose. Also speaking at the event, Acting IG Adamu said police personnel on election duty were constrained by the law which prevented them from bearing firearms around voting areas. The IG, who was represented by Assistant Inspector-General Peter Ogunyanwo, said the constraint made it impossible for officers on election duties to confront armed political thugs who attacked voters and disrupted voting. The IG observed that politicians lacked patriotism, nationalism and the fear of God in their conduct during elections. He lamented that politicians, who he described as beneficiaries of electoral malpractices, lacked the required will and patriotism to put in place the needed electoral reforms. According to him, measures prescribed by law to punish electoral offenders were not punitive enough to deter electoral offenders. He cited the provision of Section 308 of the Constitution, which confers immunity from prosecution on sitting governors and their deputies when they commit offences. The AIG made allusions to the Rivers and Kano states, where the sitting governor and deputy governor allegedly committed electoral infractions during the March 9 governorship election but who could not be prosecuted as a result of their constitutional immunity. “In some cases, the law prescribes a fine of N40 as punishment for people caught with unlawful possession of firearms and other dangerous weapons. So where do we go from here”, the IG said. The police chief also blamed greed and stupidity on the part of voters who sell their votes to desperate politicians, saying they end up going back to their squalid conditions afterwards. He called on civil society groups and human rights organisations to mobilise for other segments of the public to mount pressure on the National Assembly to ensure the birth of electoral reforms that will prescribe stiffer penalties for electoral offenders. On his part, the Labour leader blamed vote buying and selling on pervasive poverty and in the land. According to him, most of the voters could not resist monetary offers for their votes by desperate politicians. He bemoaned a situation where some state governments pay civil servants, particularly teachers as little as N7000 monthly salary. Describing the electoral process in the country as work in progress, Wabba noted, having realised that votes now count, politicians have resorted to vote-buying from impoverished electorate. The NLC noted that there is no way a compromised electoral process can produce transparent and competent leaders or good governance. The situation, he said, has made it impossible for the people to hold their leaders accountable and called for drastic electoral reforms to sanitise the process. Activist lawyer, Mr Femi Falana who chaired the event, canvased electronic voting as the solution to electoral malpractice, saying the country was ripe enough for it. According to him, vote buying and ballot manipulation started in 2003 with former President Olusegun Obasanjo and that the situation has continued to escalate with every election circle. He blamed the Election Petitions Tribunals and the courts for condoning electoral practices where billions of naira were raised for the election of individuals against the provisions of the Electoral Act. “This is how our courts endorse electoral manipulation and criminality”. He called on the INEC and the civil society organisations to assist the police in ensuring the prosecution of electoral offenders. Falana said the current practice where cases of electoral offenders are left to state prosecutors to handle is subject to abuse by Attorneys General who withdraw such cases at will.